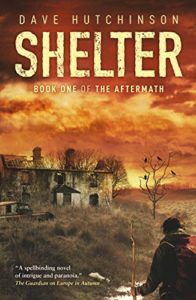 Shelter: Book One of The Aftermath by David Hutchinson. Book Review. A hundred years after twin asteroids called The Sisters, have hit the earth, the Long Autumn is coming to an end and society is starting to rebuild. From the ashes of the old world is a new order of specific communities working together and suspicious of outsiders. Tempers are fraught after many years of hand to mouth survival and people are willing to kill if it gives them the edge over their neighbours. On the run from a community tyrant, Frank Pendennis, Adam Hardy finds himself in a war zone in a farming community called The Parish in what remains of Oxfordshire. Tensions have reached boiling point and now the farmers fight amongst themselves and are aggressively hostile to outsiders. But while they squabble amongst themselves, they overlook the fact that Frank has followed Adam right to them. 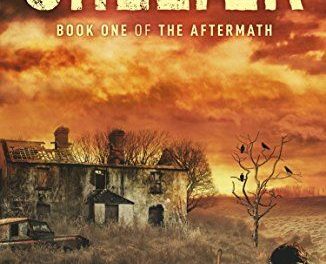 There are lots of post-apocalyptic books out there but what makes Shelter stand out is Hutchinson’s focus on the mental health of the characters. What are the effects of living day by day? Of high infant mortality? Of expectations on teenagers to act in their parents’ stead when their parents are incapacitated? Hutchinson explores in depth the impact of surviving on the mental health of the people left behind and he does it with such depth that you cannot help but empathise with each of the characters. Threats come from all angles. There are known ones, such a Frank and the escalating war in The Parish, but there are unforeseen threats such as an arsonist destroying homes and a mysterious figure called Weyland, a mythical fey blacksmith, murdering people and arranging the bodies for maximum shock factor. There are no moments of rest to take stock and everyone has an agenda. This is a bleak book. You know from the start there is going to be no happy ever after. 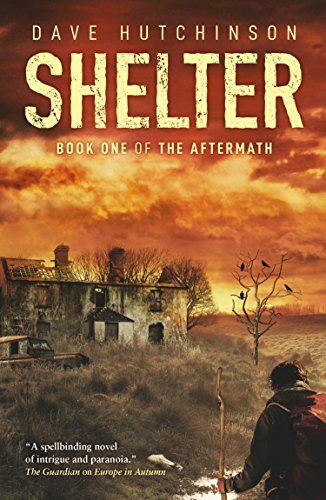 Shelter is a beautifully crafted story of life when technology and the comforts of contemporary life have been abandoned as unnecessary and unrealistic and where the best the characters can hope for it to wake up the next morning.